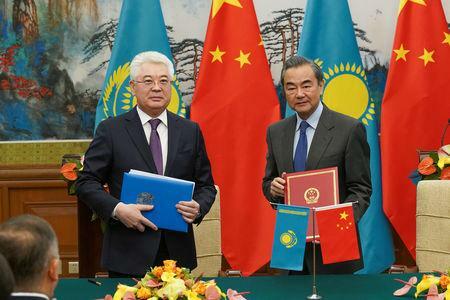 BEIJING (Reuters) - The Chinese government's top diplomat has thanked Kazakhstan for its support for a controversial de-radicalisation programme in China's far western region of Xinjiang, and said others should follow China's example. Critics say China is operating internment camps for Uighurs and other Muslim peoples who live in Xinjiang, although the government calls them vocational training centres and says it has a genuine need to prevent extremist thinking and violence. 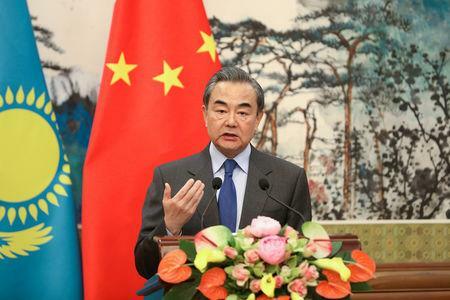 Chinese State Councillor Wang Yi said after meeting Kazakh Foreign Minister Beibut Atamkulov in Beijing that China's de-radicalisation measures in Xinjiang had been very effective, China's Foreign Ministry said in a statement late on Thursday. The steps had "vigorously protected local security and stability and made an important contribution to promoting regional peace and stability", Wang said. They also gave a "useful reference for the international community in cracking down on violent terror forces and banishing extremist thought", he said. The government of the Central Asian nation has avoided criticising China's Xinjiang policies but has negotiated the release of some two dozen people with dual Kazakh and Chinese citizenships detained in China. Xinjiang is home to a sizeable Kazakh minority, some of whom have also ended up in the de-radicalisation facilities, rights groups say. 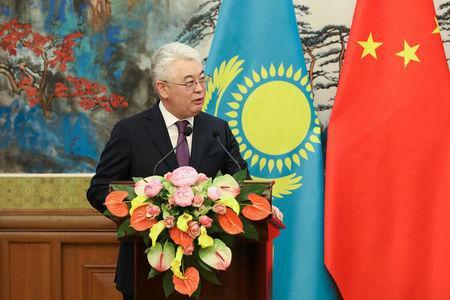 Wang said China and Kazakhstan should strengthen their cooperation in the human rights field and ensure people do not try to "politicise" the issue, China's Foreign Ministry said.